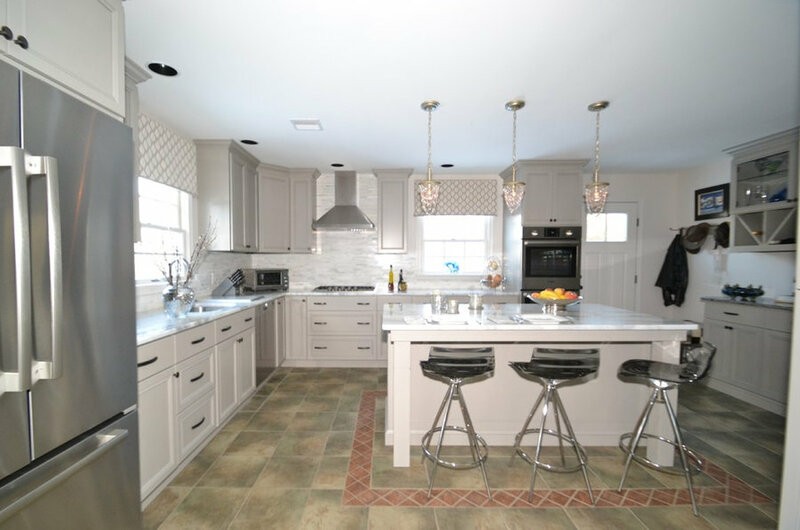 A Contemporary Gray Kitchen anchored by an existing tile floor in shades of gray and terra cotta. 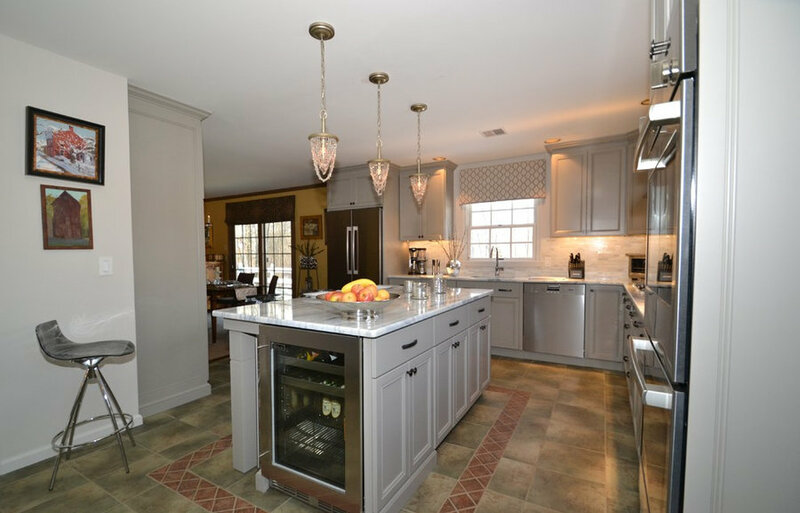 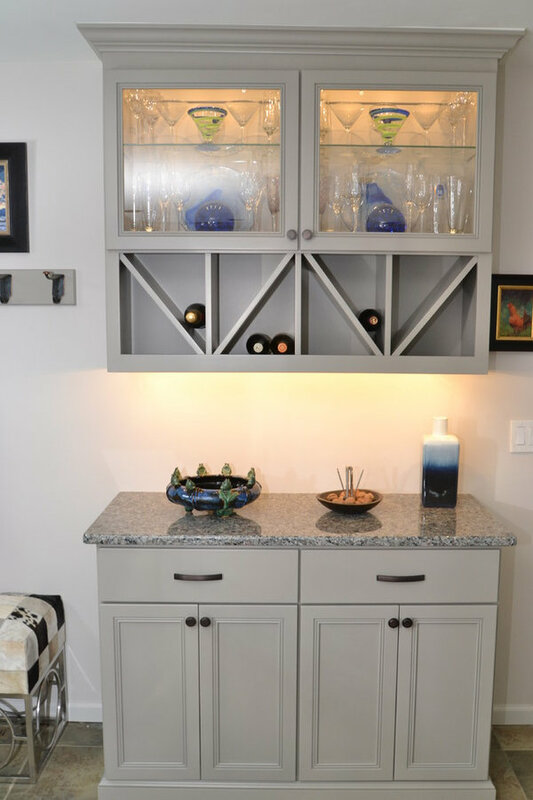 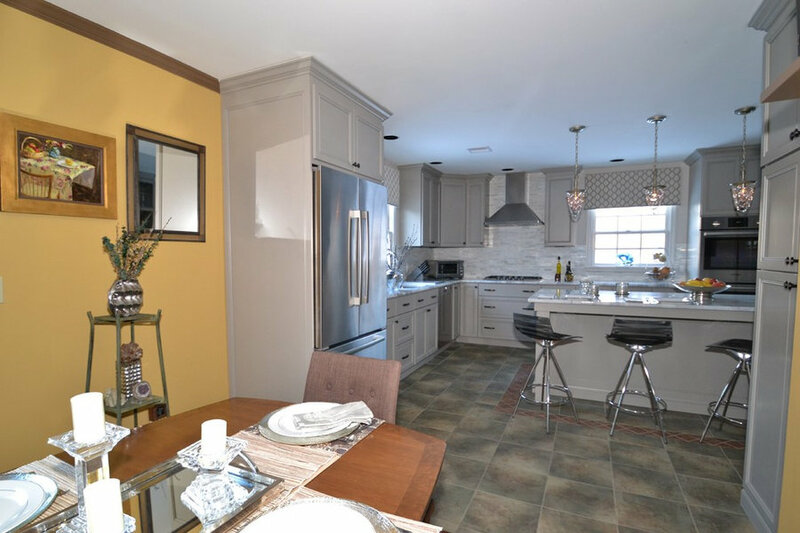 Shades of gray paint, stainless steel appliances, smoke gray/ chrome stools and pendant lights with chains of cut glass "gems" combine to make this Kitchen look much larger than its 16' x 18' foot print. 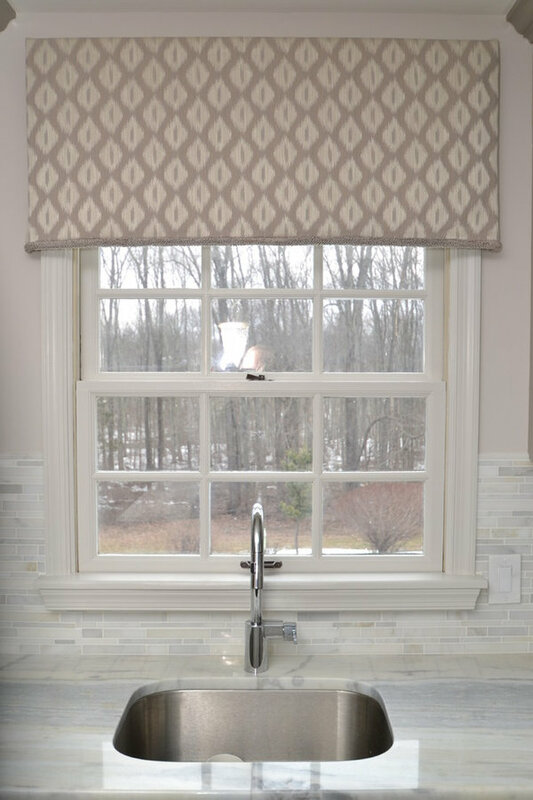 The valances on the windows were designed to make the windows look taller while still allowing a lot of light in not obscurring the view to the outside.